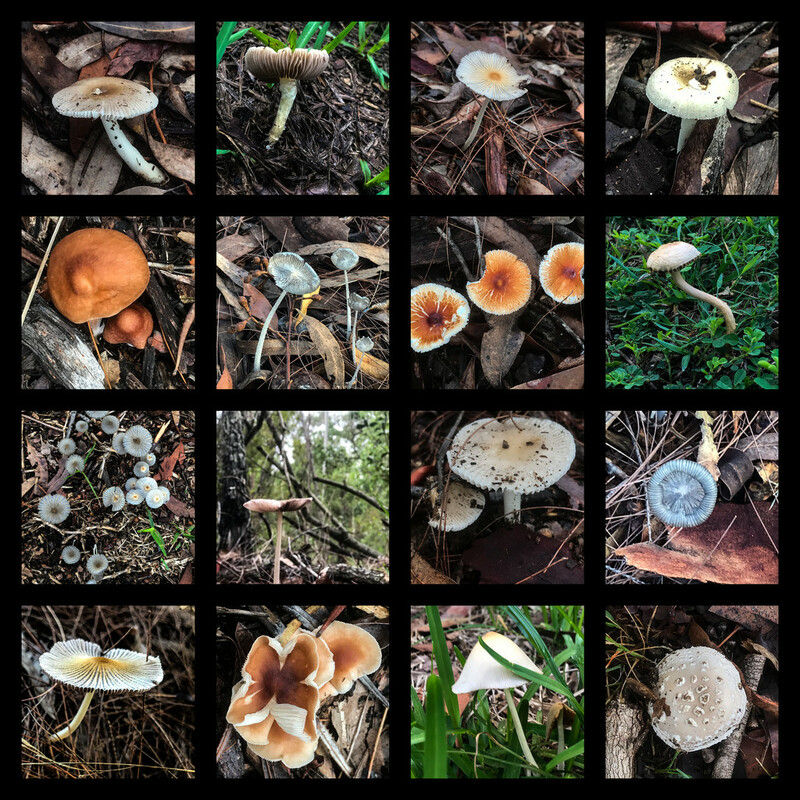 A collection of mushies from yesterday's walk with Maisie. Taken with iPhone. Take two, I had to flip a couple of images, they were all leaning the same way which annoyed me. I really like that. Every photo is beautiful. Thanks for sharing your walk. A wonderful collection in this lovely collage, fav! Super images. Love the collage. We will have some mushrooms appearing soon as it gets cooler. I love taking photos of them so I'm looking forward to getting down on my hands and knees! Good heavens, what a selection of mushrooms! And all seen on one walk you say? Wow! That's a grand collection. What a terrific variety you spotted and captured! I'm enjoying looking at these very much, I love the shapes and forms of fungi.